Hometown: originally; Clinton, Mo., currently Woodbridge, Va. Favorite Aspect of using a J. B. Custom Rod: Sensitivity, Power and the ergonomic rod features that reduce fatigue. Heaviest Tournament Weight: 25.03 lbs. 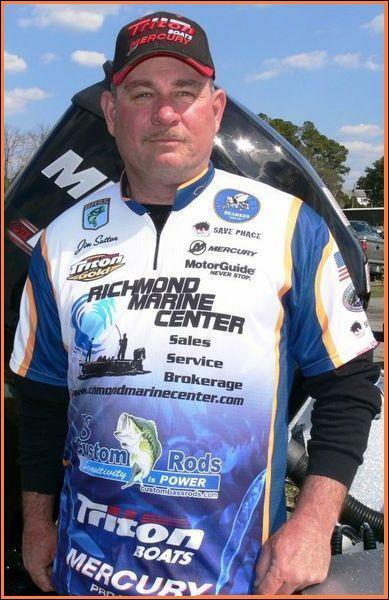 Fishers of Men National Tournament Trail – 2015 District 4 Championship - 4 th place. 2014 District 5 Champion, 2015 / 2014 FOM National Championship Qualifier, 2014 FOM VA-East Division – Chickahominy River 1 st Place, 2013 FOM VA-East Division – Lake Anna 1 st Place, 2010 FOM VA-East Division – James River 1 st Place; FOM Regional / District Qualifier 2003 – Present.